Write your own love story in a classically elegant Adrianna Papell gown. 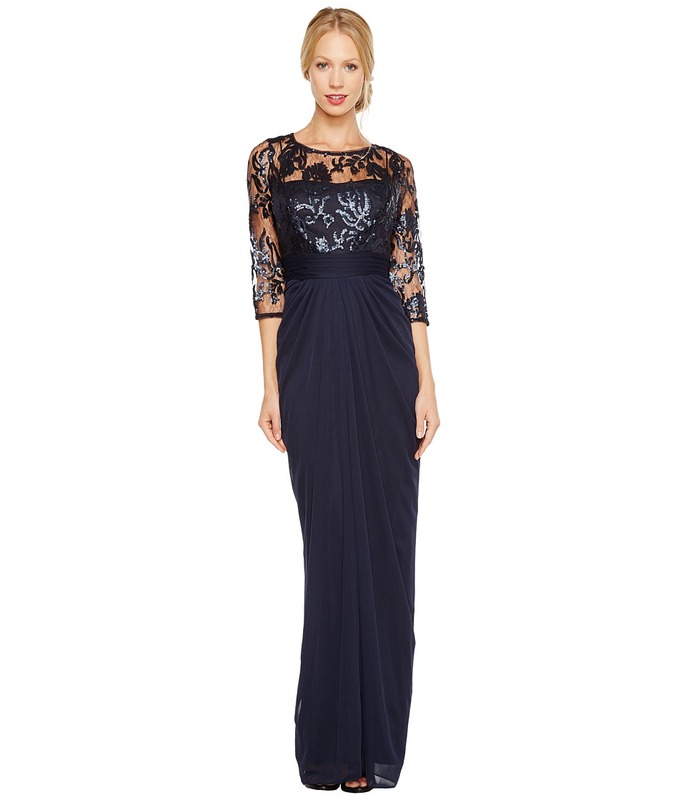 Full-length gown features a shimmering, illusion bodice that tops off the sheath, maxi silhouette. Bateau neckline and three-quarter sleeves. Satin band accentuates the natural waistline. Sunburst ruching tapers out from the waistline, flattering your feminine figure. Keyhole button closure in the back. Fully lined. Bodice: 40 percent nylon, 30 percent cotton, 20 percent acetate, 10 percent polyester Skirt: 100 percent polyester Lining: 100 percent polyester. Dry clean only. Imported. Measurements: Length: 63 in Product measurements were taken using size 4. Please note that measurements may vary by size.